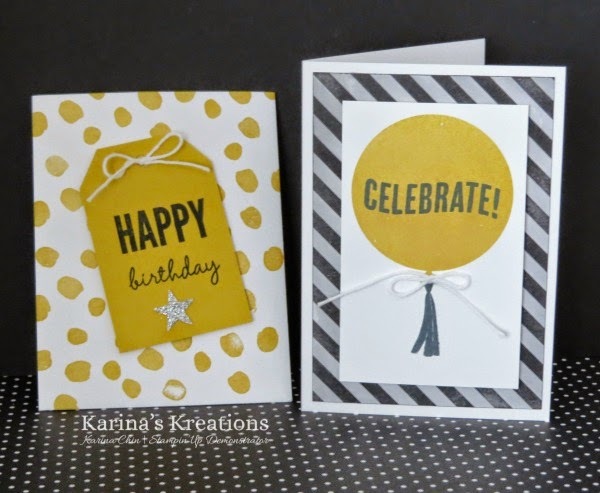 Karina's Kreations: Stampin'Up Celebrate Today Note Card! Stampin'Up Celebrate Today Note Card! I wanted to create an easy but fun card for you using the Stampin'Up Note Cards and Envelopes. You get 20 cards and envelopes for $7.50 so it's a great deal! I sealed up the envelope and cut off the top to create top loading envelope for this card. The envelope was stamped with the Best Day Ever Sale-a-bration stamp set and Hello Honey ink. The card was lots of fun to make. 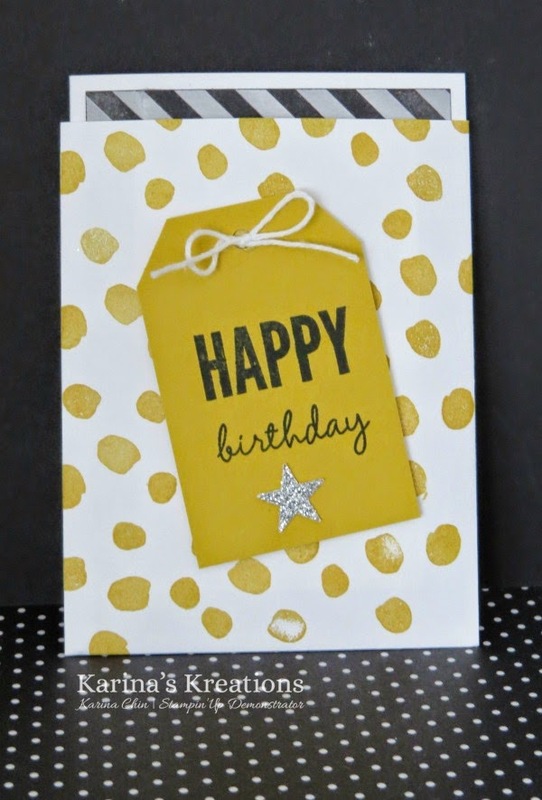 I sponged Black ink over the Irresistibly Yours Designer Series Paper and attached it to the note card. The balloon from the Celebrate today stamp set was stamped with Hello Honey ink. The greeting as stamped with Black Memento ink. If you buy all the supplies for this card you will get an item for Free. I would recommend the Irresistibly Yours Designer Series Paper. Check back tomorrow for the stepped up version of this card.